If you thought the colour was solely for nurseries and playrooms, think again. Pink Vertical blinds are ideal for making a sophisticated statement in grown up spaces. The key is selecting the right shade to suit your scheme. Pastel pinks are brilliant for creating a light and airy look, while deeper dusky hues have a romantic feel which is perfect for intimate settings. Hot pink Vertical blinds have a vivid and vibrant appeal. Here at Hillarys, we’re sure you’ll be tickled pink after browsing our collection of pink Vertical blinds. The only difficulty you may have is deciding which stylish fabric to go for. Luckily, your expert advisor will be on hand to offer handy hints and inspirational ideas at your home appointment. 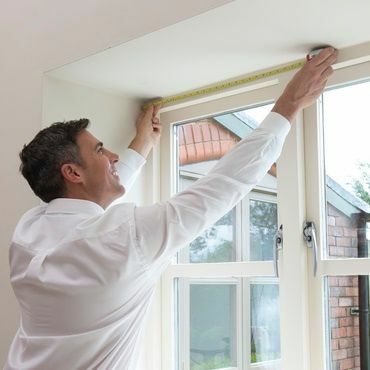 Your local advisor can also provide practical solutions for awkwardly shaped windows. Verticals blinds are not only an attractive option, but a versatile one too. They are a fabulous choice for sloping windows, and if you’re blessed with a bay or bow window, our clever curved headrails ensure a snug fit.